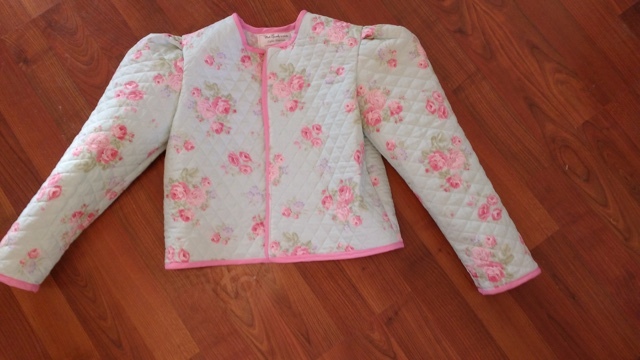 The jacket is made from pre-quilted, double sided fabric. The inside is a coordinating print but it could not be found by the yard. It would have been nice to reverse the jacket and have a matching skirt from the coordinating fabric. 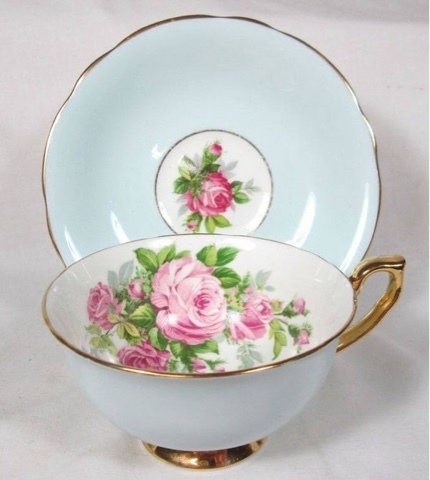 The floral rose print with the white dots on blue background is sometimes called "Bed and Breakfast" or shabby chic and is available at Hobby Lobby and Joann Fabrics. This week I am hoping to go to the fabric store to see if they will order more of the quilted fabric, as it will make good blankets, bags and other quilted things. Clothing has many different functions. Besides providing covering and protection, it can also express an attitude toward life. I like to make clothes for girls that bring a sense of happy optimism and reflect the beauty of nature around them. The blouse is a purchased cotton knit shirt, (from the Dollar Tree, for $1.00) to which I added some ruffled tulle trim I got at Hobby Lobby, and the jacket was easy because all I had to do is sew double wide bias tape around the edges, eliminating the need for facings and hems. 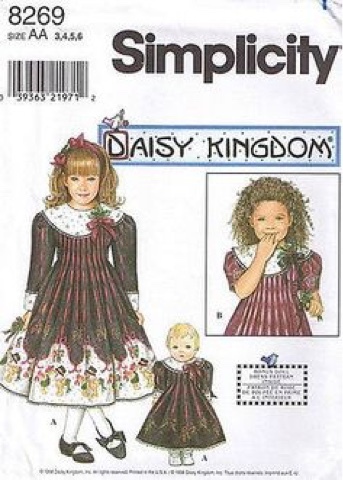 Patty Reed designed a lot of cute Mother-Daughter-Doll sewing patterns in the 1990's in a company called Daisy Kingdom. 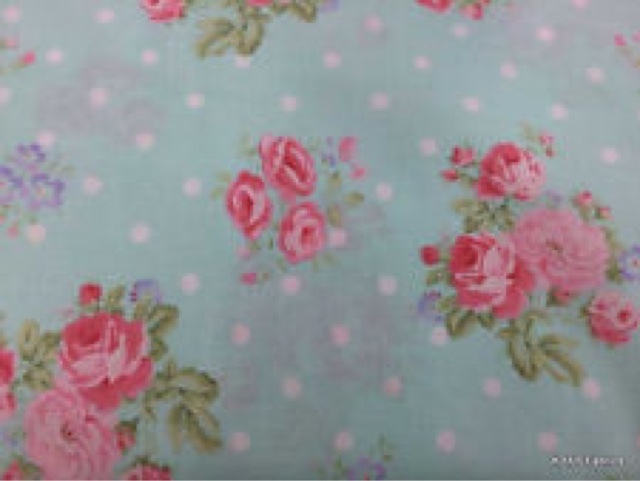 You could also buy her fabrics at the fabric shops, along with the battenburg lace collars. 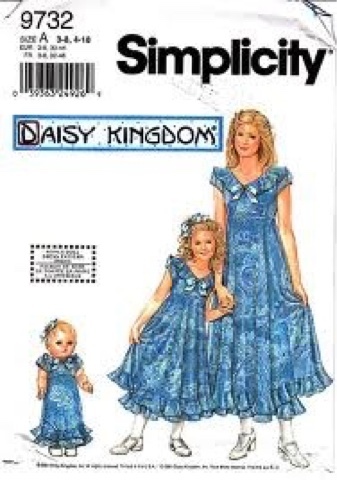 I used Daisy Kingfom patterns for my little girl, years ago. I also, sewed the matching bunny! The outfit is lovely. 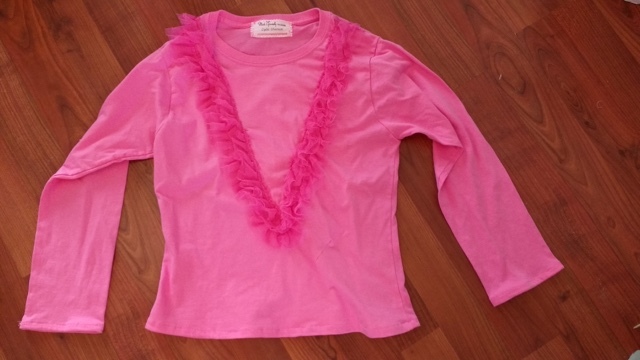 Some little girl will feel very pretty when she wears it! The girl's outfit is so sweet! I bet the quilted jacket will keep her warm when those cool spring breezes blow. Great job! What a darling outfit! I love that rose fabric. 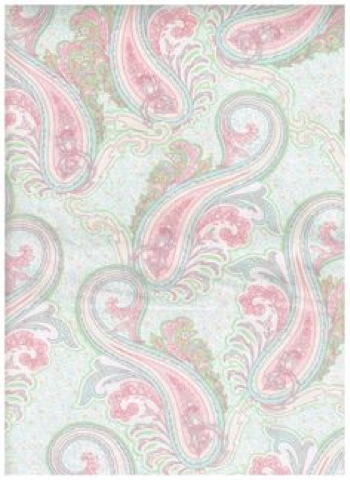 The paisley on the other side of the quilted fabric would make a fabulous tote bag or hand bag. Paisleys and florals are my favorite patterns. 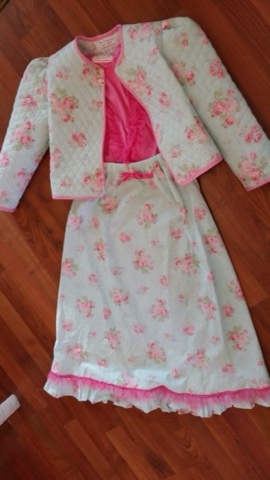 Very Cute and spring like, the jacket will be very nice! You should make yourself a bag of some sort for summer or travel! one of kind outfits that no one else could buy! Kelly T.